This post is a quick update about the past few months. Launched www.TestWithAjay.com as a one stop source to capture my blog posts, tweets, articles, books and workshop announcements. This will be my online portfolio going forward. I also conduct online workshops over Skype chat. Deepan Kumar recently took my online workshop. 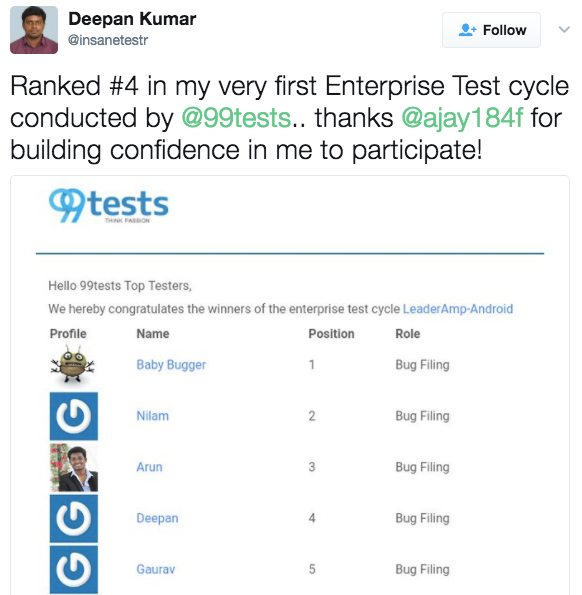 At the last minute, there were multiple registrations and there were around 40 testers in my Exploratory Testing workshop. The workshop was a success for me as it was quite an interactive workshop and I managed to squeeze in most of the concepts in an eight hour window. The true success of any workshop is when the participants go back to their organization and implement some of the learnings. I have not heard back from any of those testers which bothers me to some extent. A one day workshop is not a magic pill to solve all your problems. It needs continuous effort from the testers and the management across few pilot projects to see the expected end results. And I am always ready to help people who are struggling to implement the learnings from my workshop. As part of the sponsor booth, I spent most of my time at these conferences at the sponsor stall. There were many interesting conversations and how people have assumptions which is very hard to dislodge or alter. Agile Testing Days came to Asia for the first time and it was a success considering the enthusiasm shown by participants in Agile Games and also the fully packed sessions. This was my first time at Agile India conference and I was blown away by the sheer number of participants every day. With so many well known speakers spread over 5-7 days, they had all the bases covered. The topic was: "Agile Teams: The Best Test of a Tester's Skills". The talk was for 25 mins instead of the usual 45 minutes. It is a good idea too as one need not wait the whole 45 mins for the next talk. There were a lot of new faces and talks which fascinated me. Looking forward to the next year's conference. 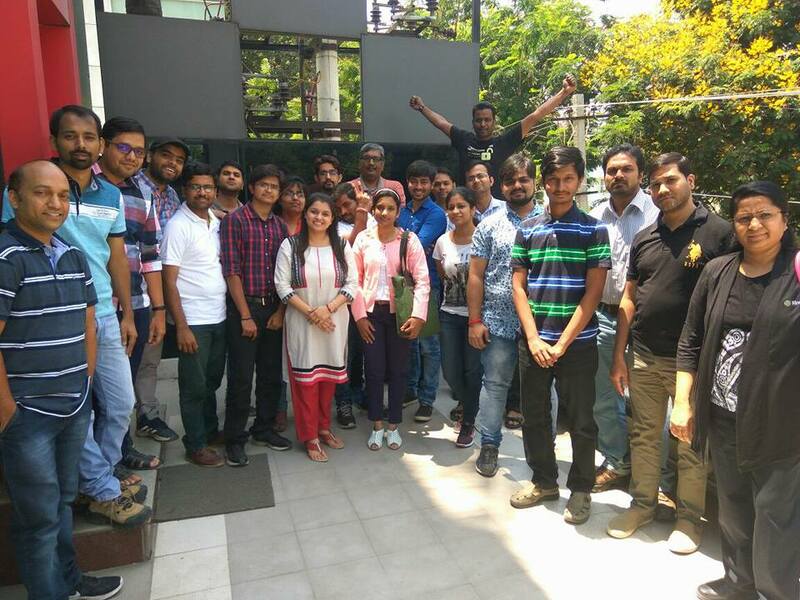 This was a three day course and we had good discussions on various aspects of testing. There were lots of hands-on exercises and each concept was followed by an exercise. Alan Richardson has done a great job explaining every concept in detail. Though I am finding it hard to understand few concepts, I WANT to learn Java and I am on it. 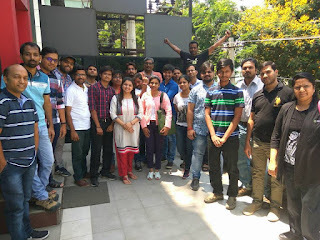 I presented at the meetup organized by Agile Testing Alliance on "Problem Solving Techniques". I am planning to create a workshop out of it soon. And I need to get ready to office. Till next time, enjoy testing.